Feed the Future Just Published a New Report – So What? We sat down to chat with Feed the Future’s deputy coordinator for development, Tjada McKenna, about Feed the Future, its latest results, and where we’re at in the fight to end hunger. Q: Help our readers understand the contextual importance of this report. 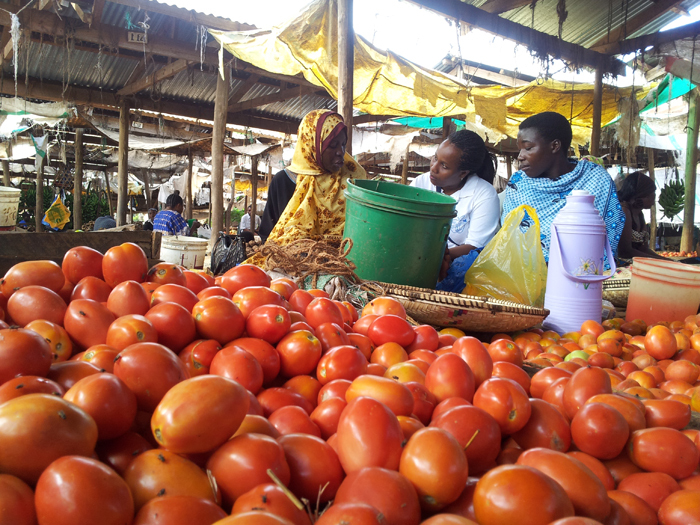 Why food security, why now? To answer that, we need to go back in time a little, to 2007 and 2008. The world wasn’t in the best shape. A food, fuel and financial crisis was threatening to push people back into poverty, just as we had started to make progress in getting people out of it. Food price spikes in 2007 and 2008 made it really difficult—in some cases impossible—for people around the world to buy staple foods like rice and wheat. Global stability was at stake, not to mention people’s lives and a whole generation of kids who weren’t getting adequate nourishment to grow. But that really only provides half the picture. We also need to look forward in time, to 2050, when the world population is expected to exceed 9 billion people. How are we going to sustainably (and nutritiously) feed this many people? There’s a big question mark as to how we’ll do that and we think we’ve got a new approach to answer it. Q: What’s so new and different about this “new” approach? When President Obama took office, he was determined to reverse the negative course the world was on. So in addition to the critical distribution of food aid in crises, he mobilized global leaders and businesses to proactively “ramp up” their investments in agriculture to increase production and decrease hunger and poverty. 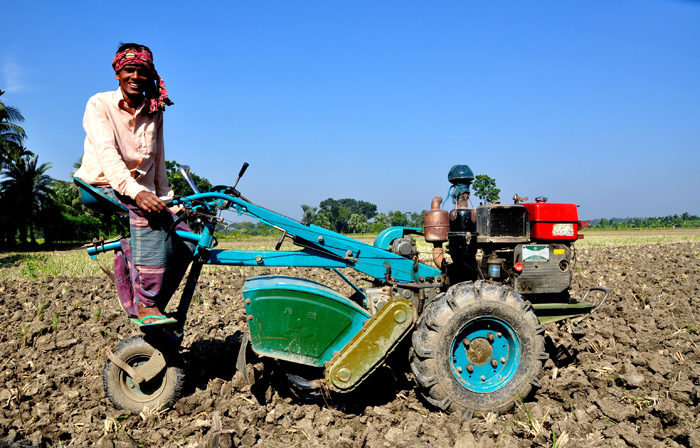 History has shown us that stimulating growth in agriculture is a really effective way at ending poverty. And a lot of the farmers we’re targeting live in rural areas where hunger and poverty are concentrated. That’s another aspect of our approach: instead of trying to do all things everywhere, we’ve targeted our work in 19 specific countries and even within those we’re focusing on key regions and crops that have the greatest potential for reducing poverty and hunger for some of the world’s most vulnerable people, particularly women. It’s about more than just agriculture too. World leaders committed not just to invest more, but to invest differently. Countries would take on greater leadership and donors would support them as they worked to grow enough to feed their own populations and connect people to the global economy to help feed the world. We’re essentially dealing with hunger today and hunger tomorrow. Feed the Future has been a big part of the U.S. contribution to this global effort as the U.S. Government’s global hunger and food security initiative. Q: So Feed the Future’s been in motion for about four years now – what do we have to show for it? That’s where our latest Feed the Future report comes in. We’ve never had data like this before for agriculture programs to really show what is happening as a result of what we’ve been doing. And we have a lot to show for it. Last year we helped nearly 7 million farmers improve the way they work to adopt new and improved technologies and practices that help them grow more while using less land, water and other (often expensive) resources. We’ve also reached more than 12 million children with nutrition interventions designed to give them a healthy start to life so they have the same shot at being productive, happy adults as our children do. We’ve actually been able to replicate results similar to these for about two years now, so we’re really excited about taking them to scale now that we know our approach is working. Q: What do these numbers mean? They mean we now have evidence that what we’re doing works. They also show that leadership matters. President Obama put forth a vision for ending hunger—and then backed it up with monetary commitments—that encouraged global leaders to do the same. By collaborating toward a common goal, we’ve been able to get a lot more done and leverage a lot more resources than we ever could have alone. It makes it all the more urgent for us to build on this momentum, continue investments, and scale our approach by bringing in even more partners from the private sector, civil society, academia, and science. The end of hunger is in sight! We’re just about on track to cut hunger in half by 2015, per the Millennium Development Goal. Feed the Future has been a large part of the U.S. contribution to achieving this goal. Two years ago you may remember that President Obama challenged us to end extreme poverty by 2030 and the World Bank, USAID and others have already taken up the charge. Common vision and goals like these help propel us forward but also help us gut-check on progress. So far, so good, but we’re ready to go the distance and really end this. If we can end poverty, why not hunger? They’re inextricably linked and we can end both. Q: So if ending hunger is actually a possibility now, when can we expect to see it end? It’s really up to the international community to set a target date, but we’ll be a key voice in those discussions. President Obama’s leadership has already mobilized the world to fight hunger and poverty and helped set a goal date for ending poverty. We do know this for sure: We can end hunger in our lifetimes. Q: What’s next? How do we get from these results to an actual end date? The United States doesn’t have the resources to solve this problem by itself nor should we even try to. That’s why this new approach to focus our efforts, coordinate among donors and support countries in their own food security plans is so vital to success. So is the inclusion of all sectors in our work to improve food security, both in terms of public, private and nonprofit but also from a technical standpoint of health, hygiene and sanitation, policy reform, the way we deliver food aid, etc. We need to continue to work smarter. We have the political will and global momentum we need to end hunger; we just need to sustain it. And we need to keep looking for outside-the-box ideas and approaches. USAID recently launched its Global Development Lab and its purpose is to do just that. Evidence tells us that one-size-fits-all just doesn’t work for development and we’re looking to continue to spur innovation and find new and improved ways to help people move out of poverty and hunger to self-sufficiency and prosperity. Q: All right, on a closing note: If I’m a reader and I think your mission is really cool and want to be a part of it, what can I do to get involved? The great thing about this story is it isn’t just about what the U.S. Government, businesses, civil society, or farmers are doing: It involves all of us. We really do need all types of people to be involved in our work. It’s not just about development professionals anymore; it involves small business owners, scientists, American farmers and ranchers, and banks. If you’d like to work directly with Feed the Future and its associated U.S. Government agencies, you can go to the Feed the Future website and check out the Partner With Us section for opportunities and ideas—this includes student opportunities like fellowships. There’s also the Peace Corps, which is a great way to start serving. And USAID has a foreign service that includes agricultural scientists, private sector partnership experts, and economists. The State Department does too. There are a lot of ways to join. You can help us keep the global conversation on food security going too. We have a hashtag (#feedthefuture) that gives you the ability to do that on a variety of public media platforms. Explore our website, read our report, and stay tuned for more ideas and opportunities. 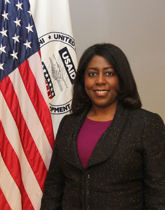 Tjada McKenna is the acting assistant to the administrator in the USAID Bureau for Food Security and the Feed the Future deputy coordinator for development.